Today, we’ll look at how to get into Northeastern. We’ll take an especially close look at Northeastern SAT scores, Northeastern ACT scores, and Northeastern admissions criteria. The Northeastern is ranked number 40 among national universities in the USA. This puts it in roughly the top 1% of all schools nationwide. As any college counselor will tell you, work experience is super important, and Northeastern is currently ranked as the number one “Best School for Internships” by the Princeton Review. Northeastern prides itself on its cooperative education program (commonly known as “co-op”) that integrates classroom study with professional experience, placing students at internships with 3,100 partners across all seven continents! In addition to the co-op program, Northeastern has a very developed study abroad program, sending undergrads to over 170 universities and colleges across the globe. Pretty cool! Those are the bare bones statistics, but keep reading for a closer look at how to get into Northeastern. We’ll explore the finer points of Northeastern SAT scores, Northeastern ACT scores, and other aspects of how to get into Northeastern. This table shows the middle 50% SAT score range of accepted students…what does that mean for you? Well, here at Magoosh we strongly recommend aiming for the 75th percentile of the score range of the school you’re trying to get into. This means that the second number in each of these ranges should be your Northeastern goal score (though you probably won’t be taking the old SAT, huh). So, to give yourself the best chance at admission to Northeastern, you should organize your SAT prep with a goal score of 750 in EBWR and 780 in Math! For some tips on how to get there, check out our post on perfect SAT score stories! Also be sure to get in some good-quality SAT practice. 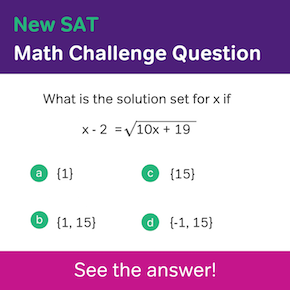 Official SAT practice from the College Board is a must. Magoosh offers excellent supplemental practice to the official stuff, so be sure to also check out Magoosh’s free SAT practice test. A subscription to Magoosh SAT may also be a great help to you as you work toward a Northeastern eligible SAT score. If you’re afraid that you won’t be able to meet this very high middle standard, don’t be. You can have scores anywhere in this range–even below it–still get accepted. Remember that Northeastern has no hard and fast rules about minimum SAT scores. Just shoot for the 75th percentile, and do your best not to go under the 25th! As I mentioned at the beginning of this post, the middle 50% of students accepted Northeastern scored between 31 and 33 on the ACT. As you can see, almost all Northeastern’s admitted students scored a 30 or above on the ACT. 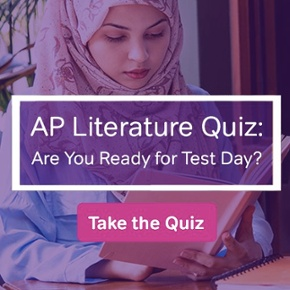 Following the same procedure as we did with the SAT, you should set your goal score at 33 (the 75th percentile) and make sure not to go under a 31 (the 25th percentile). And remember when it comes to practice materials, official materials plus Magoosh ACT materials equals success. 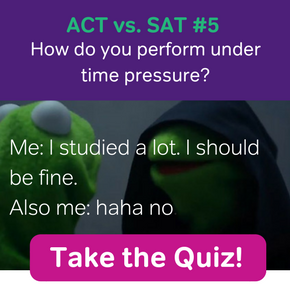 The ACT lists and links to all of its official prep here. And you can supplement that with some great material from Magoosh. Make sure you use our free ACT practice test with answers and explanations (PDF download). And consider a Magoosh ACT subscription to round out your practice materials. The Northeastern’s acceptance rate, as mentioned above, is 28% for freshman applicants. But who are these people? Let’s find out more about Northeastern’s incoming freshman class by taking a look at their most recent freshman profile. 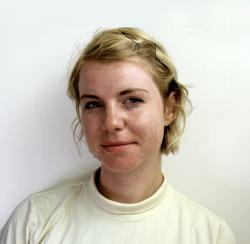 So what does a typical Northeastern freshman look like? What are the students like as people, and will you fit in? Read on to get a food look at the Northeastern freshman profile. While Northeastern doesn’t officially report the GPAs of its admitted students, we have determined that the average high school GPA of a freshman at Northeastern is 4.0 (based on data reported from more than 1,000 high schools). High school GPAs can be a bit mysterious. Almost all schools use a weighted GPA out of 4.0, but high schools that offer AP and IB classes will add an extra grade point in those courses. So to be averaging a 4.0 you’d have to either be getting straight A’s in every regular class, or doing well in a few AP and IB classes to even out that pesky B you got in Advanced Algebra sophomore year! To calculate your GPA for your current school work, use Magoosh’s “How to Calculate Your GPA” guide. We’ve covered a lot of ground today…but getting into college is a long and confusing process, and we understand that it’s more than just numbers. So here is a roundup of other frequently asked questions about how to get into Northeastern. Depending on whether you’re apply Early Decision, Early Action, Regular Decision, or as a transfer, the financial aid deadline dates and requirements may vary. Lucky for you, Northeastern’s Student Financial Services has created an application checklist for each type of student, which you can find here. Can I send Northeastern an art portfolio?? Portfolios are only required for a two Northeaster’s programs: the Music Composition and Technology program and the Department of Art + Design. However, majors within the College of Arts, Media and Design are encouraged to submit portfolios, though—which can be done online using SlideRoom. Additionally, all portfolio submissions will be considered for the Creative Leaders program (which is for Northeastern undergraduates who show exceptional talent in communications and the arts). When will Northeastern Admissions decisions be released? Early Decision applicants will receive a decision online by December 15. Early Action applicants will receive a decision online by December 30. For the 2018-2019 academic year, the cost of tuition (and fees) at Northeastern is $49,497. Add room and board for $16,240 and books and supplies for $1,000, and you’re looking at a total cost of attendance of $68,537 for one year at Northeastern. So you better start filing that FAFSA! The Northeastern is a great university with many great programs. And while the expectations for Northeastern SAT scores and Northeastern ACT scores are high, a strong overall application will trump any individual scores. Still, you should make sure to aim for the highest SAT scores, ACT scores and GPA that you can. That way, you will have a nice cushion going into the admissions process–and your scores might even be the thing that pushes your application over the edge! Have no fear, though! I can give you some transfer student stats here in the comments. Let’s start with Northeastern transfer student GPA. However, Currently, the average GPA of accepted Northeastern transfer students is 3.6. So you’ll want your GPA to be close to that or higher than that if you want to stand out as a transfer applicant. Next, let’s talk about ACT and SAT scores for Northeastern’s transfer students. If you’re transferring with more than 24 credits from another college or university, you don’t need to submit ACT or SAT scores. Transfer students also don’t need to submit those test scores if they finished high school more than 5 years ago, or have a high school diploma form a foreign country. However, if you have fewer than 24 transfer credits and a relatively recent American HS diploma, Northeastern will want either an SAT or ACT score report. In that case, they’ll hold you to the same score standards as any incoming freshman (see Molly’s notes on this in the article above). So we’ve covered GPA and test scores (when test scores are actually needed). But what about acceptance rate? Here, there’s some good news. Northeastern university currently lists an acceptance rate of 32% for transfer students. This means that being a transfer student gives you better odds than being an incoming freshman. As you can see in Molly’s post above, incoming freshmen have an acceptance rate of just 27%. My daughter was rejected with a weighted gpa of 4.5 and a 32.ACT score. She is President of the creative writing club, on the prom committee and editor of her school newspaper and finished in the top 10 of her class (out of 500+ students). My guess would be a regional bias because we live in Knoxville TN.